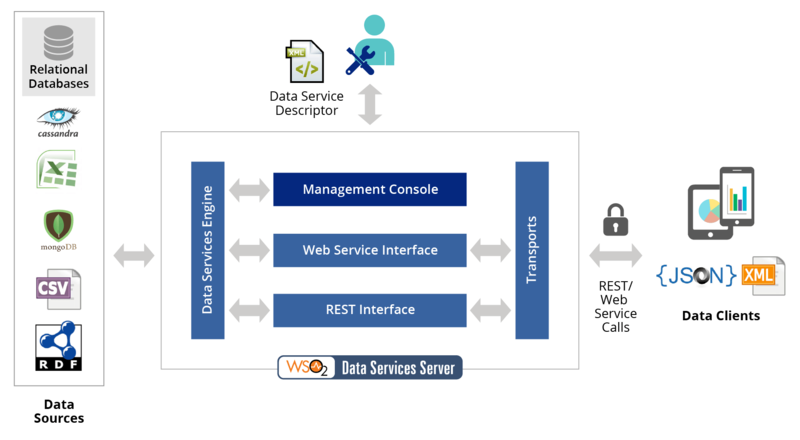 WSO2 Data Services Server (WSO2 DSS) was created as a mechanism to integrate data stores, create composite data views, and host data services. We currently have this capability within WSO2 Enterprise Integrator (WSO2 EI). WSO2 EI allows you to make enterprise data accessible by integrating cloud services and legacy software, and data stores, as well as transforming data seamlessly across different formats and transports with enterprise service bus and data services capabilities. Try it now! Please fill this form and we will respond to your query within 1 hour. Thank you for contacting WSO2! Your query will be responded to within one hour. WSO2 DSS Tooling 3.5.1 provides user-friendly, configuration-driven tooling capabilities. Based on the Eclipse development environment, its simple graphical editor is ideal for developing and managing services, features, and artifacts. You can download the relevant tooling component from the options available below.